As a mom, a nurse and a certified car seat safety technician, I am super-aware of the importance of having a correctly installed car seat. Simply put, a correctly installed car seat prevents injuries and saves lives. So imagine my dismay when at our most recent Spot Check Clinic in Milton, run by the Halton Partners for Car Seat Safety, we saw many forward-facing car seats that were not using the tether strap correctly and over 20 car seats that were not using the tether strap at all! Halton Partners for Car Seat Safety technicians are finding this happening more frequently with parents saying they “didn’t know” they needed to use it. In addition to the universal anchorage system (UAS) or seatbelt, a tether strap is required to be used with all forward-facing car seats to help keep it in place. Your child’s forward-facing car seat will come with the tether strap attached to the back of the seat when you purchase it. The other end of the tether strap has a hook to be secured to your vehicle’s tether anchor. Using this tether strap with your forward-facing car seat is essential, and it’s the law, so let’s talk about why and what you need to know. The tether strap helps prevent the top of the car seat from moving forward during a sudden stop or collision. This greatly reduces your child’s risk of serious head and neck injuries or even death. There is no better reason to use a tether strap than that! 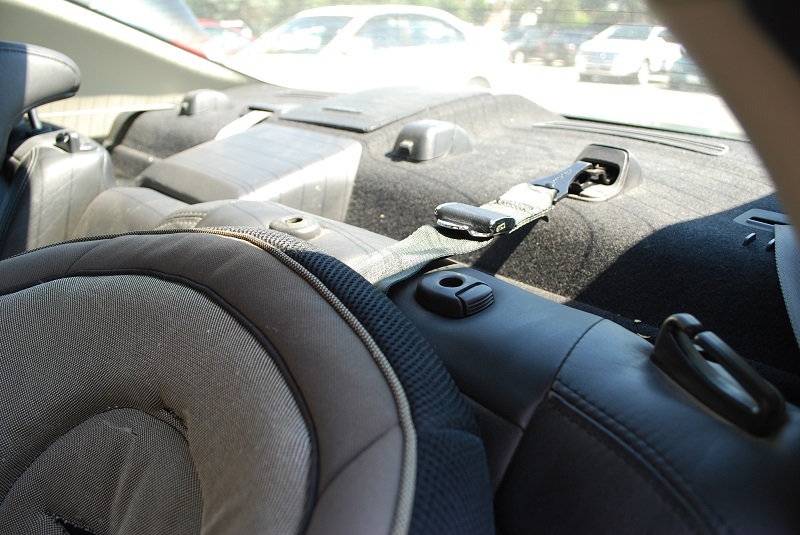 It’s the law in Ontario to use the tether strap with your child’s forward-facing car seat. The penalty for not using a properly installed child seat is a fine between $200 and $1,000, plus two demerit points. Read your vehicle owner’s manual. The manual will tell you exactly where the tether anchors are located and which seating positions they can be used in. Your manual will also tell you how and where to route the tether strap. Read your car seat’s instruction manual. The manual will give you specific instructions on how to attach the tether strap to the designated tether anchor. Your car seat instruction manual also has essential information on any other steps required to properly install your forward-facing seat. If your vehicle’s manual does not indicate where the tether anchors are, or if your vehicle does not have tether anchors, please do not try to install your own tether anchor! Tether anchors must be connected to an integral part of the vehicle as set by the vehicle manufacturer. Contact your dealership for professional installation of a tether anchor. Do not install your car seat in one seating position and use a tether anchor designated for another seating position! If your manual indicates there is no designated tether anchor in the seat position you wish to install your car seat in, contact your dealership to see if it is possible for professional installation of a tether anchor in this position. Use only one car seat per tether anchor. Do not double up! Always follow your vehicle owner’s manual and the car seat manual for tether strap routing instructions. 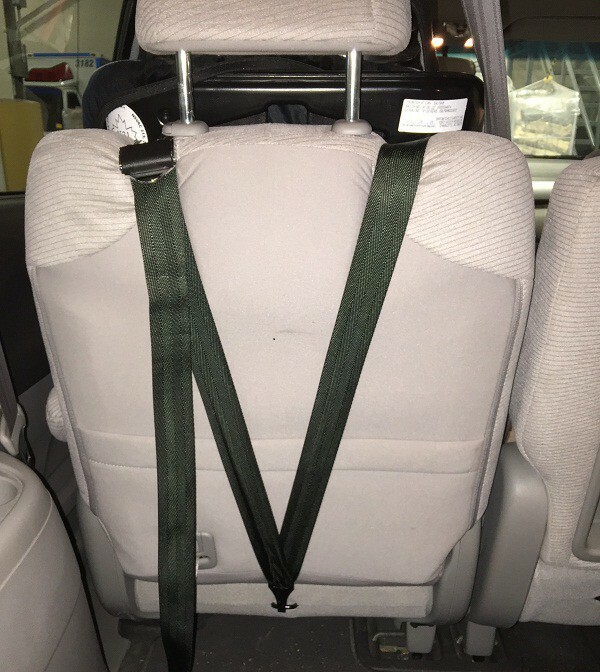 Each vehicle is different and it is important to know how to route the strap if the seat has a headrest. Secure your tether strap only to the designated tether anchor. Do not attach the tether strap to anything else in the vehicle. Be careful not to twist the tether strap unless directed to in the car seat or vehicle owner’s manual. Do not let anything interfere or get in the way of the tether strap. Once you have correctly attached the tether hook to the tether anchor, make sure it is tight. It should indent the fabric on the vehicle seat. There is a lot to know about safely installing a car seat. It takes time and patience to read the car seat manual and the vehicle manual, but your little one is well worth the effort. Don’t forget there are many websites and videos to help and HaltonParents is a great place to start! Please share this blog with your friends and family. Together, let’s make sure everyone using a forward-facing car seat is using the tether strap correctly. Do you have questions about tether straps? There are many ways to be in touch with us! This entry was posted in Children & Tweens, Keeping Your Child/Tween Safe, Keeping Your Toddler & Preschooler Safe, Parenting, Toddlers & Preschoolers and tagged baby car seat, car seat, car seat safety, car seat tips, child safety, child safety seats, Forward-facing car seats, preschoolers, Safety, Tether Anchors, Tether Straps. Bookmark the permalink.